In Uganda, Mueller employees have been working to set up about 100 milk collection centers, where milk is centrally collected, cooled, and stored under acceptable standards. So here is the challenge: In some emerging dairy sectors in developing African countries, raw milk cannot be cooled at dairy farms due to lack of access to reliable electricity. This means much of the evening milk goes bad overnight in the heat. It is lost income for farmers and a widening gap between milk supply and milk demand. Post-harvest milk losses are estimated at 40%. Paul Mueller Company in the Netherlands is innovating multiple solutions to this problem through different stages of milk production. In Uganda, Mueller employees have been working to set up about 100 milk collection centers, where milk is centrally collected, cooled, and stored under acceptable standards. Typically farmers had to transport their milk far away to a processor in a bigger city. With the collection centers, farmers can bicycle their milk to the closest village where dairy co-ops are developing among small farmers. These co-ops allow farmers to not only make more income from their milk, but to also create positive foundational changes to their community infrastructure. As they struggle less for daily survival, farmers engage in new business ventures—like adding crops to their farm or re-building schools. The ripple effect helps increase access to food, jobs, and medical care and encourages young people to stay and continue to build prosperity. 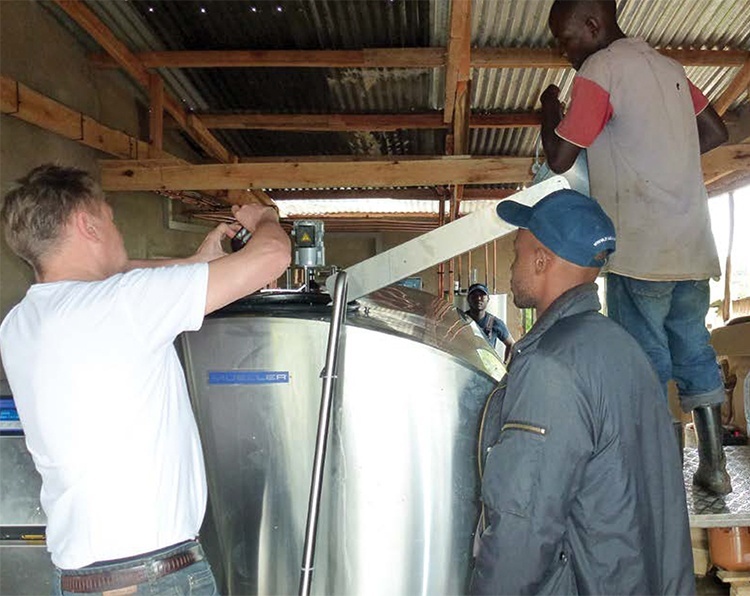 Mueller employees also partnered with BoP (Base of Pyramid) Innovation Center to develop a solar-powered milk cooling unit for small-scale farmers in Ethiopia. Enabled with the power to store and cool milk directly on their farms, these farmers can increase their income by delivering and selling the highest quality of milk possible. 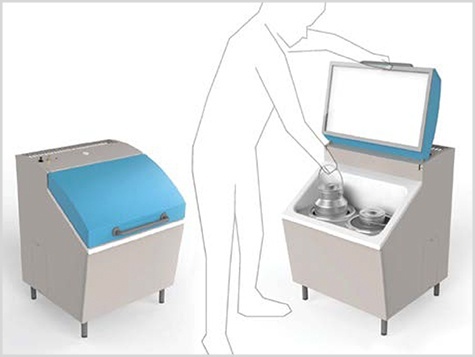 Mueller is also working with partners to develop an off-grid biogas-powered milk cooling system for small dairy farms.This product will work to enable small herd dairy farmers to preserve milk according to standards accepted by international milk buyers. 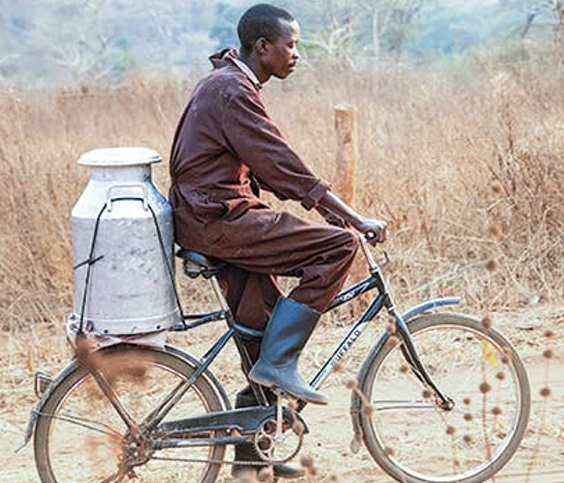 Whether it is milk collection sites in Uganda or off-grid milk coolers in Ethiopia, Mueller employees are dedicated to sustainability and improving the lives of dairy farmers everywhere.